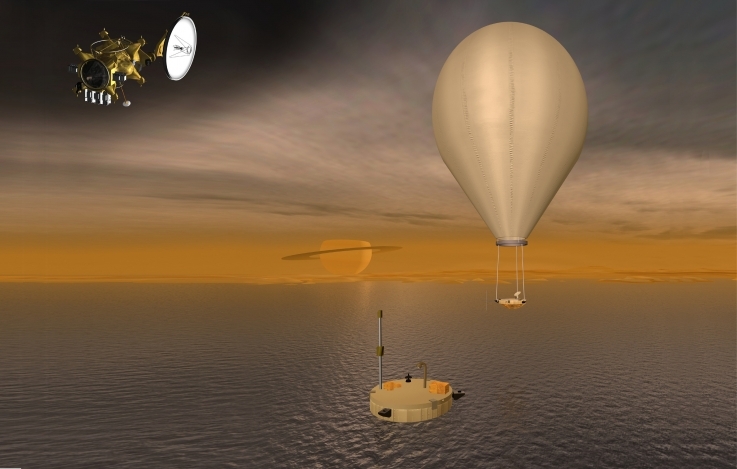 Just like a classic sci-fi movie, NASA now plans to use a submarine to investigate the lakes on Saturn’s moon Titan. Titan is the largest moon of Saturn, consisting of primarily water ice and rocks. As the atmosphere of Titan is mainly nitrogen, methane and ethane clouds and nitrogen-rich smog, the moon has weather systems similar to Earth. Wind and rain form the surface, creating rivers, lakes and large seas. In 2004, the Cassini-Huygens mission discovered methane lakes and rivers, especially in the polar regions of the moon. The temperature on Titan’s surface is about -179°C. Even though this is chilly for most of us, scientists believe that some form of non-water based life could be present. You still have some time to clear your schedule, though. The space submarine mission is currently scheduled to around year 2040. What other space missions do you think should be included on NASA’s exploration list? Want more? This article was originally posted on Huffington Post. Read it here.